Show those you care about just how important they are to you by sending them this "always on my mind" bouquet as a reminder of your admiration and appreciation. 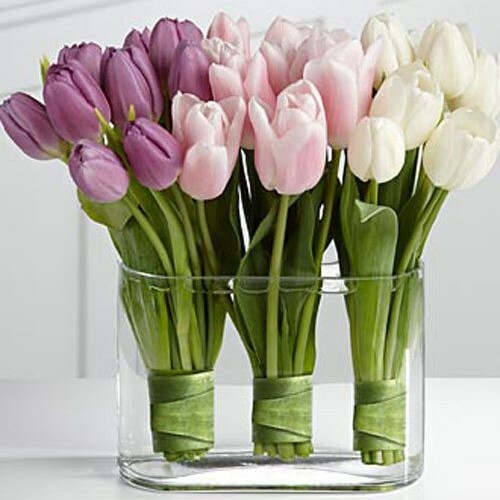 What a wonderful way to combine 10 purple tulips, 10 pink tulips, and 10 white tulips in a round vase! Note: Tulips are not available during the warm summer weather which is between June and August. Special Conditions Tulips are not available during the warm summer weather which is between June and August.